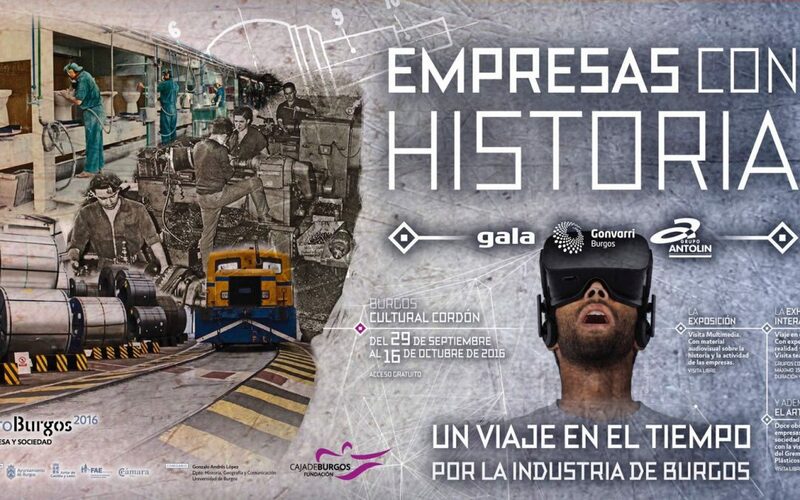 Gonvarri Steel Services has taken part in the exhibition “A travel in time through Burgos’ industry”, within ForoBurgos 2016, that finished yesterday at Casa del Cordón in Burgos under the Digital Transformation topic. Through a dramatized tour and digital materials as virtual reality, augmented reality or video mapping, visitors got to know the trajectory of the steel company, as well as its business, its international presence or the technology used in the development of its product. Gonvarri has also participated in several discussions and panels with César García Leal, General Manager at Gonvarri Iberia and UK, and Néstor Lacarra, General Manager of Strategy, Management Systems and Innovation, respectively. The first day was about technology and industrial changes; whilst the second, open to public, addressed the topic of entrepreneurship in digital world and human resources’ digital competencies. This is the eighth edition of ForoBurgos initiative, held with the goal to become into a referral regional event, committed to strength the relationship between the company and society, adding value to the entrepreneur, the transmission of knowledge and the increase of contacts.